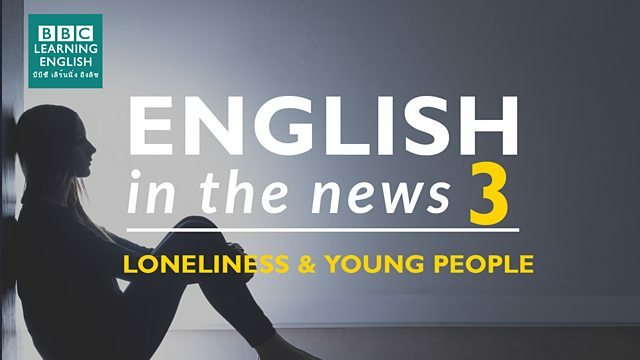 A BBC survey into loneliness has found that 6-24 year-olds experience loneliness more often than other age groups. Join Sian and Clare to learn more about this story and to learn three phrasal verbs and phrases relating to this topic. Which word can we use to mean 'enjoy something so much that you can't stop doing it'? I ______ that new drama series on Netflix. That's why I'm so tired at the moment - I keep staying up late to watch more episodes. Do we turn to people or things when we are in a good situation or in a difficult situation? Which sentence using the phrasal verb 'turn to' is NOT correct? What phrase can we use to talk about the reason why something bad happens? Many people believe that global warming ______ the increase in the number of floods and storms we are experiencing this year.